"I really thought that the vanilla unit rosters should be enhanced with more unique and additional units. It was surely a great and motivating driving force for me to read the very positive feedback from thousands of players and other modders. I’m also glad that I won several TWC awards for my AUM mods during the last years. I worked with lots of modders together, and I saw modding, never as a competition, but us modders should share our wisdom. It is for the benefit of the whole community that if we modders gather in a team, we modders can produce in a team better mods for all the players which enjoy our mods." There are so many great Generals in our history. I choose Julius Caesar as he combines all, tactically, strategically, and logistically. He is also a great leader with all these skills in one person. He placed the path for Augustus, and the long line of Emperors in the history of Rome. My favourite era of warfare is the Medieval era. The Ancient Roman era comes second. However, both of these eras combine lots of historical changes, political conflicts, and science advancements. Both eras featured lots of different cultures and empires, which had to deal with each other peacefully or in terms of warfare. It is pretty obvious how you derived your name, but still the question begs to be answered as to why Swiss Halberdier (I personally think it’s a fascinating weapon coupled with one of the most fascinating mercenary cultures in history)? Yes, I’m a Swiss guy, and I live in the Swiss-German speaking part of Switzerland. We have three language regions in Switzerland (German, French and Italian). I’ve chosen my name to reflect my origin, and one of my favorite melee weapons, the halberd. It combines the benefits of a spear and an axe in one weapon. This weapon was feared amongst the enemies. Even in the hands of a poorly trained warrior, it can be very dangerous against a mounted Knight. Swiss mercenaries have proven this in many battles using halberds and pikes. I enjoy practicing archery with my English longbow and Hunnic bow and playing my electric guitar in my free time. Ready yourselves lads here they come! I started to mod Medieval 2 privately in 2007. My first official public release was AUM-Empire in 2009. Let me explain the names of my mods as not all players will know my work. I released my AUM and UPC mods for all TW games since Empire. There are so many mods which I enjoyed since I started to play TW games back in the times of Rome. It is just amazing how many very talented and creative modders are out there and they produce high quality mods for all the community. The Old Guard never retreats! Ways forward! I fully focus on Attila at the moment, as my time is very limited, so I work on AUM-Attila, UPC-Attila and in the Radious Total War team. I will also update my current two community projects Attila “AOR (Area of recruitment) Community Campaign Map” and “Attila Custom Battle Crash Fix”, if a new patch will be released. My older AUM mods for Empire, Napoleon, Shogun 2 and Rome 2 in 2016, they should get probably a balancing and improvement update. What is your opinion of Total War Rome II and Attila vanilla when they came out? Are you happy with the current condition of Rome II and Attila? The amount of patches both Rome II and Attila have added is great and all but has it been a big challenge staying up to date so that your fans can keep using your great mods? What is your favorite DLC if you have one? The release of Rome 2 was unfortunately bad. Attila was in a much better release state. I think Rome 2 has reached (with patch 17) a good and polished state, but another patch should do the final finish. Attila still needs several fixes and further polishing and hopefully we will receive more patches. Staying up to date with my mods is always a challenge and needs lots of work and testing. My favourite Rome 2 DLC is “Caesar in Gaul”. My favourite Attila DLC is “Age of Charlemagne”. 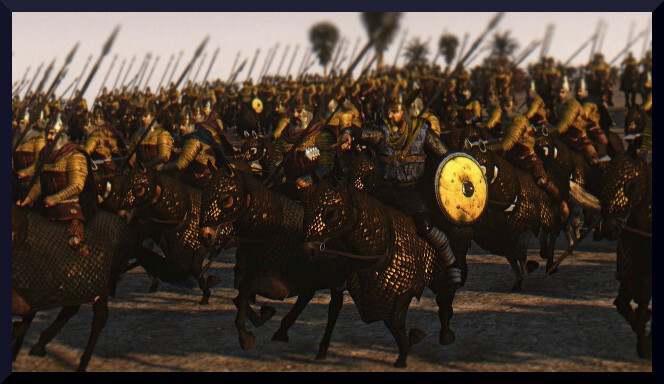 The era of Total War: Attila is my favorite era and specifically the Eastern Roman Empire, so when you developed your Additional Units Mod in conjunction with Radious, I had to download it immediately. For the more civilized players such as me, do you plan on adding any more Roman units to your list? There will be no new Roman units in AUM-Attila, as I already have created 78 Roman units together with DramaBelli in the Radious Total Units Mod, but I will create an adapted special vanilla “Roman Unit Pack” with these. This mod can be used together with the vanilla version of AUM-Attila. All vanilla and non-Radious players can enjoy our Roman units. For Glory and Honor charge my children!!!! 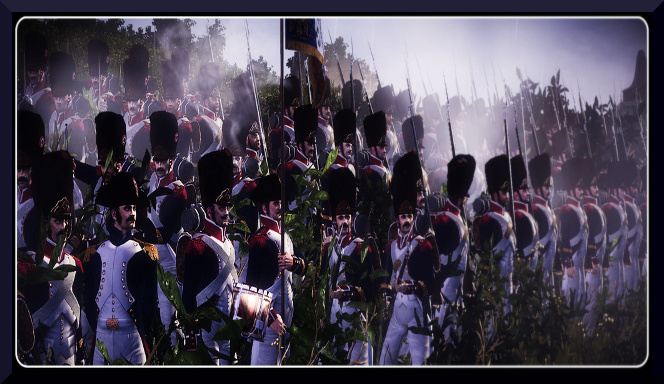 I’m sure like myself that many have followed your mods since the days of Empire Total War and all the glorious units that were added in those mods and current ones. What inspired you to give us this much needed extra spice if you will for our campaigns? Knowing that you have helped thousands of fellow gamers enjoy their game even more has to justify in your mind the work that you do and continue doing, so does that help as a driving force to further your pursuits in modding and teaming up with others such as Radious? I really thought that the vanilla unit rosters should be enhanced with more unique and additional units. It was surely a great and motivating driving force for me to read the very positive feedback from thousands of players and other modders. I’m also glad that I won several TWC awards for my AUM mods during the last years. I worked with lots of modders together, and I saw modding, never as a competition but us modders should share our wisdom. It is for the benefit of the whole community that if we modders gather in a team, we modders can produce in a team better mods for all the players which enjoy our mods. Which of your mods is your favorite? My own favorite mod of all time is AUM-Empire as it is the biggest and I learned how to mod with it. At the moment AUM-Attila is my favourite as I’m working on it. I enjoy the Last Roman Campaign for the most part. Is there any chance we may see any of your work on that one or possibly Age of Charlemagne? I enjoyed the DLC “Last Roman campaign” too, but I will not create new units for it in my AUM-Attila. I worked in the Radious Team and we created lots of unique units for this DLC. As mentioned above these units will be included in an adapted special vanilla “Roman Unit Pack”. Yes there will probably be new units for the DLC “Age of Charlemagne” in AUM-Attila and it also depends on my limited modding time. I think we modders have already many tools to create mods. The Assembly Kit from CA is a very good tool, but I personally use mostly our awesome community tool “Pack File Manager” which is maintained by our tool-master Daniu. I’m helping there from time to time to adapt new database schema tables. In which direction does Swiss Halberdier march in future projects? My AUM and UPC mods will be my core mods in future historical TW titles. Do you have a list with all your released mods? You’ll find the links to all my mods in my signature of each TWC post. All five UPC versions for each game can be used with all mods. Some big compilations have their own adapted UPC. The links to the UPC mods are in my signature. I list the credits every time, very detailed with all my mods in the “Credits” section of my AUM and UPC threads. There are all individual modders and helpers shown. There are so many comrades of the TWC community who contributed and helped me in AUM and UPC during the last years. Very special and huge thanks to my Italian mate DramaBelli for his extensive, outstanding and awesome work and help in AUM and UPC during the last years. He is a marvellous texturer, icon creator, researcher, tester, and translator. Huge thanks to my Scottish mate plissken3 who is my core tester and additional researcher for all my AUM mods during the last years. Thanks a lot to my Czech mate Radious for the great cooperation, discussions and sharing our wisdom about all modding related things. On behalf of the Eagle Standard, I want to thank you, Swiss Halberdier, for all your modding efforts and wonders! You have truly helped make the Total War Games more palatable for myself and thousands as well. I cannot speak for all fellow gamers, but I would think they would agree that they need and hope to see more mods from Swiss Halberdier! Thanks again for your willingness to be interviewed for the Eagle Standard. I want to thank all those who have worked with me during the last years to create my AUM and UPC mods, as without all of them the AUM and UPC mods wouldn’t be what they are. Huge thanks and my best wishes to all of them! Thanks a lot to all players for their positive comments and to all which enjoy my mods! loved his Empire and Napoleon mods. You rock Swiss. I love these interviews, keep them up! I second Neadal's comment. Keep them up!!! Big fan if these interview. Modders need more love (especially from CA/sega). But yeah, thanks for all the hard tedious work that goes into modding. Agree. That would be good to have some (more?) attention from CA, especially for older games. I have nothing against CA but I'm convinced that the benefit would be mutual: Modders would be able to achieve in a perfect way what they want to create and CA would be able to get more options/ideas for their games development. Swiss has always been a great friend and modder and i loved his mods since "Empire" and to be given the title of "Core Tester" for his mods is so much an honour - thank you dear friend. A great and kind guy who always helps and looks after his fans and always keeps his mods up-to-date and looks for ways to improve them. Our pleasrue I second the positive comments on SH as a person; a very fine fellow indeed, it has been a pleasure to be in contact with him for this interview. Thanks a lot to all for their positive and nice comments here! I appreciate this a lot. Sure I will never forget how much you helped me during the last years and beeing a friend. The same goes to DramaBelli and Radious. There are also so many other modders who helped and contributed to my mods within my modding journey since 2009. I listed them all very detailed on my AUM and UPC pages here on TWC. Also again a big thank you to the whole "The Eagle Standard" team and especially to Old Dragoon and Flinn for the honor of this interview and the nice contact we had. Thank you Swiss for your willingness to be interviewed! Your mods are awesome and I have had them since Empire. Yes SH is a most honorable and likable gent for certain! Thank you everyone for your comments as it is as Flinn said a pleasure to do them. I enjoy meeting all the modders I have interviewed and the help Flinn has offered has been truly fun and especially glad that others have enjoyed them as well! Hats off though to Swiss and the other modders for all their hard work and efforts! We created 78 Romani units for the Western Roman Empire, Eastern Roman Empire and the Roman Expedition Forces. All units are playable in the campaigns and in the custom battle screen. 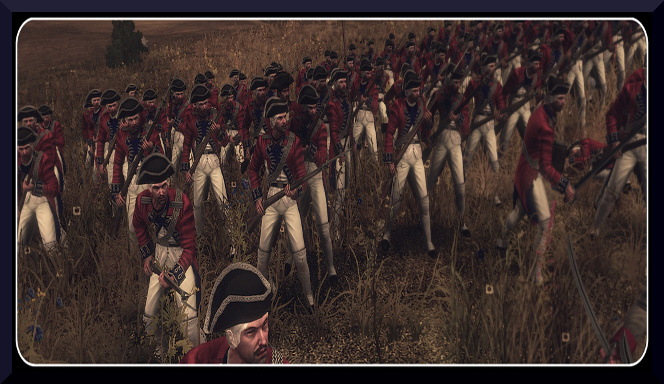 This mod features the unique AOR (Area of recruitment) Mod system and the Attila Custom Battle Crash Fix by Swiss Halberdier. Interesting! I should read more of these. It would be nice if we could have more of this with the Youtube Channel. Thanks PikeStance! I'm thankful to ♔Old Dragoon♔ and Flinn that they had the time to interview me. Yes I also read such interviews from other Modders with pleasure. We released the Version 2 of our Romani Units Pack. We released the Version 3 of our Romani Units Pack. 26 new units of the "Renovatio Imperii" mod have been included. There are now 104 units included. We released the Version 4 of our Romani Units Pack. The Version 5 of the Romani Units Pack has been released. The Version 6 of the Romani Units Pack has been released. This update of the Romani Units Pack Version 7 contains optimizations for several units and the release on Steam of both versions.